Let's meet at embedded world! Will you be in Nuremberg for embedded world 2019? 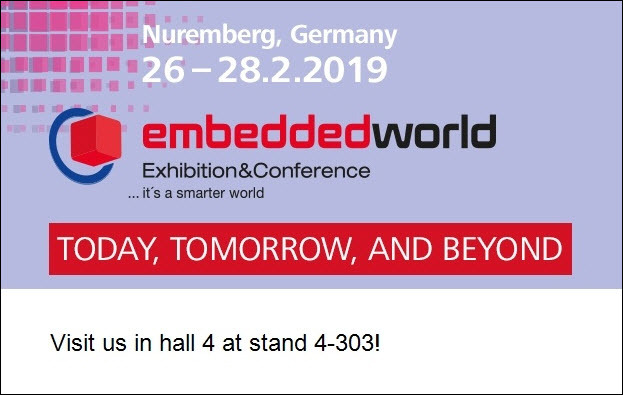 Our team will join thousands of embedded experts at embedded world 2019 from 26-28 February 2019. We will be showcasing Altia’s full-spectrum HMI solution, which has become an industry standard solution for automotive, medical, consumer and industrial companies worldwide. Our team is currently scheduling meetings during the embedded world Exhibition. If you would like to organize a meeting with them while you are in Nuremberg, please submit your request below. Set up a meeting with Altia. Please put your information here and we will get back to you soon!